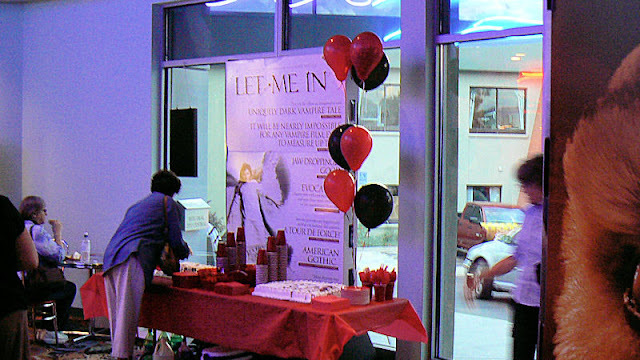 Let Me In, filmed in Los Alamos, premiers nationwide and at the Reel Deal Theater with cake and baloons. Movie is getting great reviews (Roger Ebert and Rotten Tomatoes). I'm told (haven't seen it yet) that a classroom scene was filmed in my classroom where I once taught biology and chemistry at LAHS). Move over Forks.